Dysons at the Dump, originally uploaded by botogol. 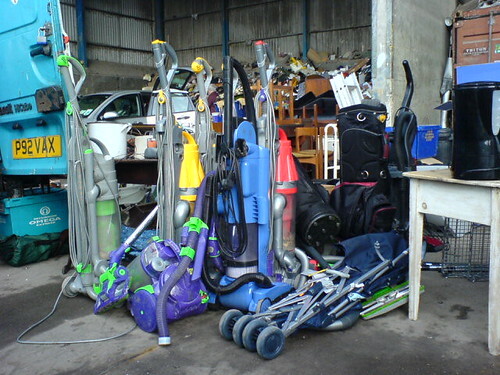 I couldn't resist this - a colourful flock of new-looking discarded Dysons at the local tip. Not a great shot, alas, but it was using my phone and I only got one go at it: oddly, the sight of me taking a picture triggered a furious response from the staff.